I realize that, by virtue of our longtime Facebook friendship, I could probably go out on a limb and address you by your first name, but I wouldn’t want to lean on that too heavily. Besides, this is a serious matter. But I’m being rude to the other readers. Since this is an open letter, I should offer my readers a quick blurb about the show you were there to promote. Bravo’s new music competition series “Platinum Hit” showcases emerging singer-songwriters on their quest to become the next big hitmaker. 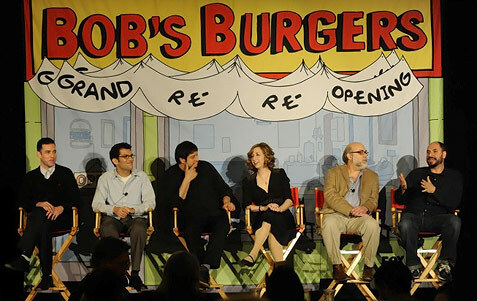 The series will give viewers a front row seat to experience the journey and aspirations of these gifted songwriters and an inside look at this unique creative process for the first time. The series will follow 12 musicians as they battle through innovative songwriting challenges that will test their creativity, patience and drive. From dance track to love ballad, every episode will feature a different theme that will require the contestants to write and perform lyrics from multiple genres. Their intimate life stories and personal drama will unfold within the show and in their lyrics as they compete and live together. In the end, only one will be crowned the ultimate hit-maker and walk away with a $100,000 cash prize, a publishing deal with Sony and BMI Songwriters and The Writing Camp, and a recording deal with RCA/Jive. “You know what? There’s going to be a time when you’ll know all about that,” DioGuardi said. She then was asked, “When? In a book?” That was when DioGuardi’s personal publicist stepped in and revealed DioGuardi has a book coming out in the spring. Ms. DioGuardi, I don’t even know what to say. You’re certainly within your right to keep the focus on “Platinum Hit,” and you’re also within your right to save the juicy “American Idol” stuff in order to sell copies of your book, but I just have to believe that you could’ve handled that situation better. I mean, you got booed. Better you should’ve put on a happy face, offered some token tidbit, and then teasingly said, “If you want more, you’ll have to read my book!” Admittedly, that would’ve been frustrating, too, but it still would’ve been better than acting like it was some sort of affront that we should’ve dared to ask you about a legitimate credit on your resume. Actually, I realize I’m using “we” a whole lot. In truth, I’m really only speaking for myself. But I’m pretty sure that if I performed an informal poll among the critics in the room with me at the moment, the majority of them would agree that you didn’t exactly endear yourself amongst the populace. Sorry for the tough love, Ms. DioGuardi, but I thought you needed to hear it. Maybe you disagree with what I have to say. If so, keep an eye out for me at the NBC-Universal all-star party this evening. I’d love to hear your take on the situation. But that’s mine, for what it’s worth. Things should perk up a bit at the box office next weekend with “Tron: Legacy” and “How Do You Know,” but this weekend is proving to be a bust. As was just about certain on Thursday, “The Chronicles of Narnia: The Voyage of the Dawn Treader” came in on top, but that doesn’t mean the news is good. The estimate of $24.5 million for the weekend over at Box Office Mojo is more than $10 million shy of the low-end figures that jolly Carl DiOrio trumpeted and which sounded perfectly reasonable to me. Apparently, this series is not being greeted with anything like the same sort of loyalty a Harry Potter or “Lord of the Rings” receives. Just as apparently, Fox and Walden Media’s strategy of targeting those sometimes Harry-negative and nearly always C.S. Lewis-positive evangelical Christian groups didn’t do much. Sometimes people can tell when they’re being marketed to and they don’t always like it. Even so, this series tends to do very well abroad. Also, as Nikki Finke mentions, the studio is banking on word of mouth to help smooth things over. I imagine the reason for that is the Cinemascore A rating mentioned by Anthony D’Alessandro. Fox’s decision to take this off Disney’s hands, while reducing the outsize budgets, may still prove wise. It’s budget was a mere $100 million, about $50 million less than “Dawn Treader, and the difference between the prediction and the reality is not as enormous. However, this weekend’s #2 film’s grosses are not something that will put a spring in the step of Sony executives. “The Tourist” nailed an estimate of $17 million for the weekend, as opposed to the $20 million figure that was thrown out earlier. It might be a bit harsh for Nikki Finke to use the “tank” word, but expectations had already been tamped down hugely for a movie from a hot young director starring, pretty literally, the two most famous actors in the world. When a movie directed by a critical darling like Florian Henckel von Donnersmark (“The Lives of Others”) gets drubbed by critics the way this one has — and the Rotten Tomatoes “top critics” have been especially harsh — there’s more at work than the sophomore slump. On the other hand, “The Tourist” did nail a decent B from Cinemascore, for what that’s worth. We’ll see whether my glib line about this being a movie with a great pedigree that could turn out be just a dog applies to the worldwide box office over the long haul. Despite everything, this could be another “Knight and Day.” Unfortunately, a movie doesn’t have to be particularly liked by anyone to do well. It’s award season and things are looking a lot more interesting right now in the world of limited release. The week’s highest per-screen average by far was at the four theaters showing “The Fighter.” Grosses for director David O. Russell’s apparent comeback after the box office failure of “I Heart Huckabees” averaged $80,000, for an outstanding opening weekend estimate of $320,000. It’s pretty clear that Paramount’s evident commercial confidence in this film was eminently justified. Also doing amazing business, “Black Swan” enjoyed a boffo second weekend with an average of over $37,000 in 90 theaters. It was actually the #6 movie in the country while showing in only a tiny fraction of the theaters its competitors are playing in, and garnered an estimate of over $3.3 million. Considering the ballet thriller’s $5.6 total take so far, a budget of only $13 million, and the near certainty of multiple Oscar nominations, this could be the year’s sleeper cash cow. I haven’t seen it yet, but I will say that studios should never underestimate the cross-gender appeal of over-the-top melodrama and a bit of terror. Fox Searchlight was smart not to. We have two new major releases and which one will be on top is a pretty clear cut case. Even so, it will be relatively muted victory. 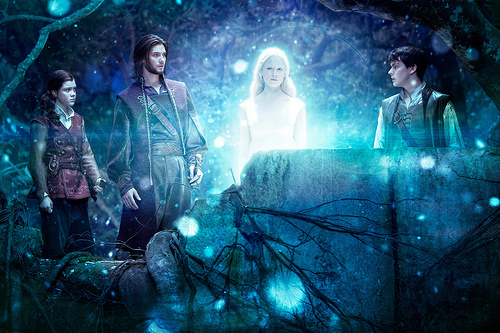 “The Chronicles of Narnia: The Voyage of the Dawn Treader” is the third installment in the adaptation of C.S. Lewis’s immensely popular fantasy novels. Though it was helmed by veteran filmmaker Michael Apted, it’s not entirely smooth sailing for the family-friendly adventures. Disney dropped the series after the somewhat disappointing showing of “The Chronicles of Narnia: Prince Caspian” back in 2008. Since then, as discussed by both Ben Fritz and jolly Carl DiOrio Fox has picked it up and trimmed the budget in partnership with Walden Media to an oh-so-thrifty $155 million (!). That’s probably a good thing because it doesn’t seem to be generating a huge amount of excitement, at least from critics. 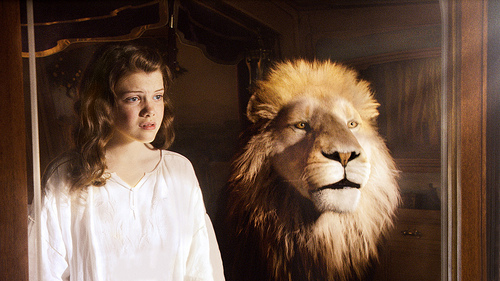 On the other hand, Narnia fans are a sure bet to turn out and, as the first 3D installment in the series, “Dawn Treader” could enjoy a bit of a bump from those inflated ticket prices. DiOrio’s guess of $35-45 million seems reasonable. From everything I’ve seen today, Sony’s “The Tourist” looks like it may be one of those movies that comes with the finest pedigree but just turns out to be a bit of a dog. Not only does this remake of a French thriller little-seen in the U.S. boast the truly enormous star voltage of Johnny Depp and Angelina Jolie, it’s the follow-up film to the Oscar winning worldwide success, “The Lives of Others” by German writer-director Florian Henckel von Donnersmarck. I saw von Donnersmark introduce that film before its domestic opening. He turns out to be an extremely fluent and completely unaccented English speaker who, even before his film opened in the U.S., was not shy about his lust to take on American films. The maker of the compellingly dour political thriller has taken on an attempt at a sophisticated, lighthearted thriller along the lines of such non-Hitchcock Hitchcock films as “Charade.” And, where that film had a screenplay by the great Peter Stone, this one has one credited to von Donnersmark, Christopher McQuarrie (“The Usual Suspects”) and Julian Fellowes (“Gosford Park”). You can’t blame a guy for trying. The review by our own David Medsker was entirely unenthusiastic, but it was a rave compared with the highly negative reaction of critics overall. The same scribes who rhapsodized over “The Lives of Others” largely found “The Tourist” an exercise in high-gloss boredom. While audiences will be lured by the appearance of an ideal date movie the first weekend, you’ve got to wonder how the film will do once people see it for themselves. Still, about $20 million seems to be figure for the first weekend. We’ll see about the legs later on. There’s also a bunch going on in the realm of limited releases. Looking at Box Office Mojo, we have a significant expansions of “Black Swan” after its boffo opening weekend. One brand new entry this weekend in five theaters is a new version of Shakespeare’s “The Tempest” which, despite starring the great Helen Mirren in a bit of gender-altering casting is getting pretty dismal reviews for famed/infamous director Julie Taymor. A Shakespeare adaptation with bad reviews is a movie in trouble. “The Fighter” debuts also on four screens, though you can expect many more later. As we discussed on Thursday, “Harry Potter and the Deathly Hallows: Part One” would have had to suffer a truly enormous second weekend drop, or its nearest competitor would have had to be a HUGE over-performer, for it to come in at any spot but #1 this weekend. Still, these last five days were a bit more competitive than expected. That, however, is not the case for the weekend’s other two new releases. The musical’s new lease on life took a small hit this weekend with a disappointing run for “Burlesque.” The poorly reviewed pic earned an $11.8 million weekend estimate for Screen Gems/Sony in the #4 spot after “Megamind,” and somewhere in the neighborhood of $17 million over the five day period, perhaps $7 million below the expected take. Still, D’Alessandro reports a very good Cinemascore rating, which may indicate strong legs or at least that people who really wanted to see a movie with Cher and Christina Aguilera got what they wanted. Bringing up the rear after #5 “Unstoppable,” which is holding very nicely indeed in Week 3 with an estimated $11.75 for Fox, was Edward Zwick’s “Love and Other Drugs.” How Nikki Finke could describe Zwick’s first attempt at a romantic comedy/drama, 1986 near-crime against humanity (and David Mamet) “About Last Night,” as “now classic” is a mystery to me. Less of a mystery is the fact that a poorly reviewed attempt at Oscar bait is a movie with no place to call home. So, those $9.85 weekend and $14.5 holiday weekend estimates are absolutely no surprise. The Dwayne Johnson action fest “Faster” also lost its personal race this weekend, with a rather slower $8.7 and $12.2 million estimate. La Finke notes that the marketing budget on the film was kept modest (so that’s why director George Tillman, Jr. talked to me?) and, at least, CBS Films prexy Les Moonves seems committed to the long haul with his fledgling film company. 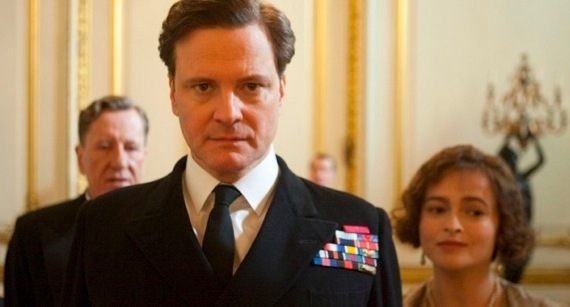 Meanwhile, in limited release-land, the big news was the big weekend for “The King’s Speech” which earned by far the weekend’s biggest per-screen average with a king-size $87,500 average on four screens. Considering this film is both reportedly extremely good, stars English actors portraying royalty, and from the Weinsteins, its heavy Oscar presence seems assured alongside “The Social Network” (which I finally saw last night and was absolutely floored by) and “The Black Swan” (which I haven’t seen yet, but seems to floor everyone who sees it).